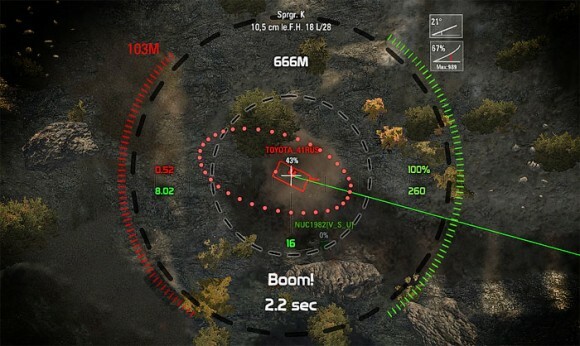 Arty, arcade and sniper sights for World of Tanks 0.8.11 with all the useful information. Modified sights compatible with the game, adapted to the new patch. All details can be found in English. There is a timer charge, distance to the target, the number of shells, HP tank, angle and so on. For arty radius of fragments, slope, time of flight of the projectile. Hello, thanks for mod, its great. and text ‘ready’ – in information of reloading? For me is enough time counter for reloading. Consulta, se podra pasar este Mod, a la version 0.9.2…? desde ya muchas gracias.